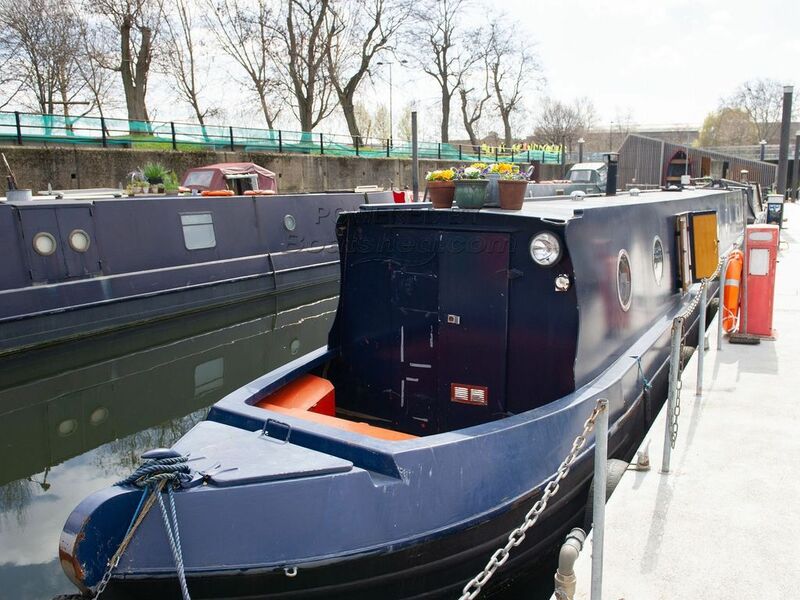 Boatshed London are delighted to offer this well maintained 57ft Narrowboat with residential mooring at Three Mills Moorings in East London. Three Mills Residential Mooring (E3) is one of the most affordable moorings in London, £493 per month, and this marina boosts a great community spirit among the residents with easy to reach transport links and a real village feeling. Built in 2010, this boat is well priced for sale and this boat would make a great liveaboard for an individual or couple. Definitely one you could move straight into, there is a double bed at the stern with plenty of storage, a good sized walk through bathroom and living area and galley at the bow. Throughout the boat has been been well built and well maintained. Since bought in 2016, in that time the current owner has had a new Howeden's kitchen fitted, a new multi-fuel stove, and only just recently had a new shower and flooring fitted into the bathroom. Likewise the whole boat has had a really decent repaint done throughout and feels much brighter and modern now. There is also diesel powered central heating and an electric immersion heater for hot water. The residential mooring is fully transferable with a 5% transfer fee payable. Current mooring fees are £493 per month + council tax.